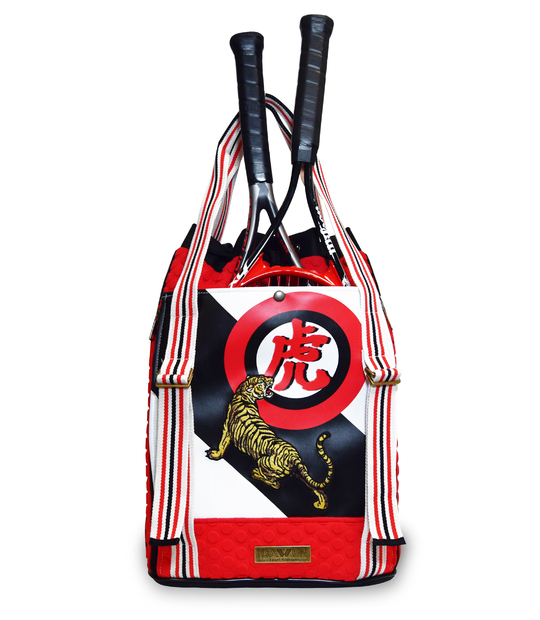 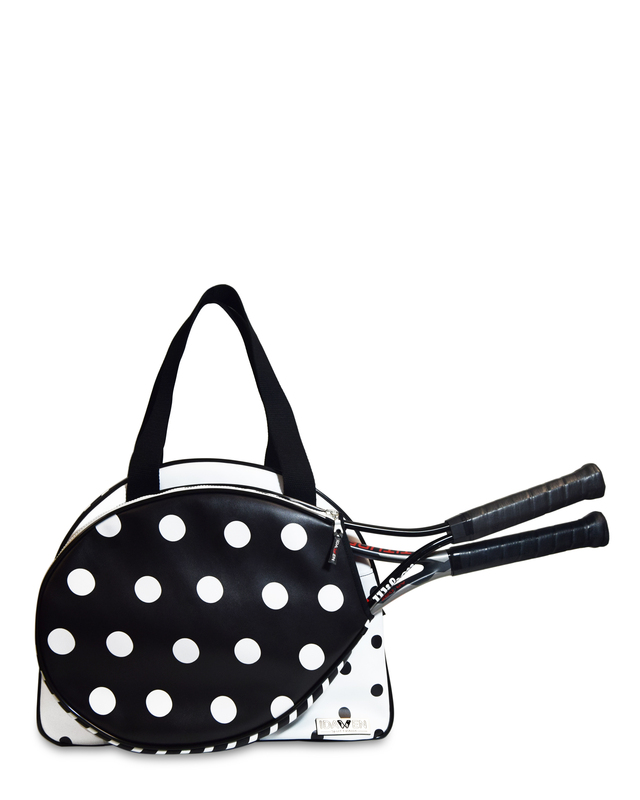 Tennis bag sportive and fashion. 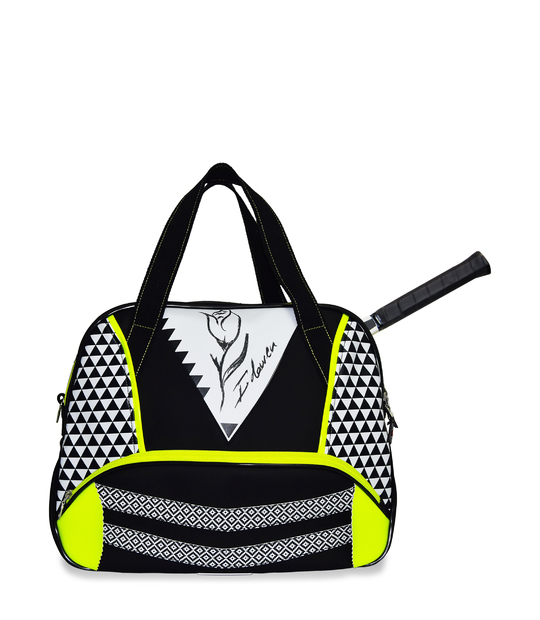 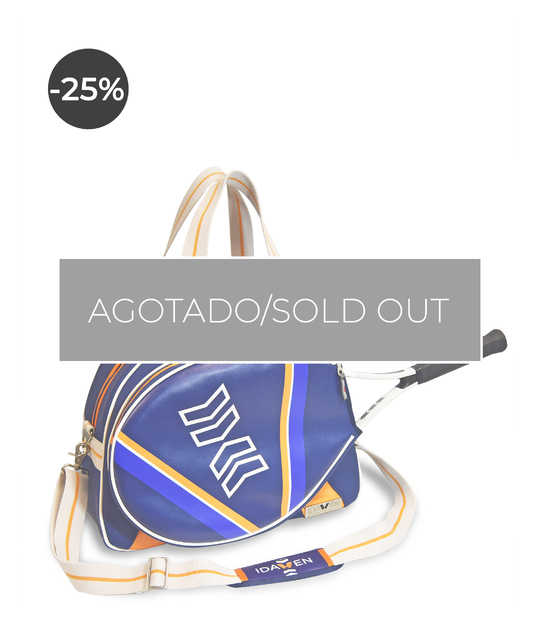 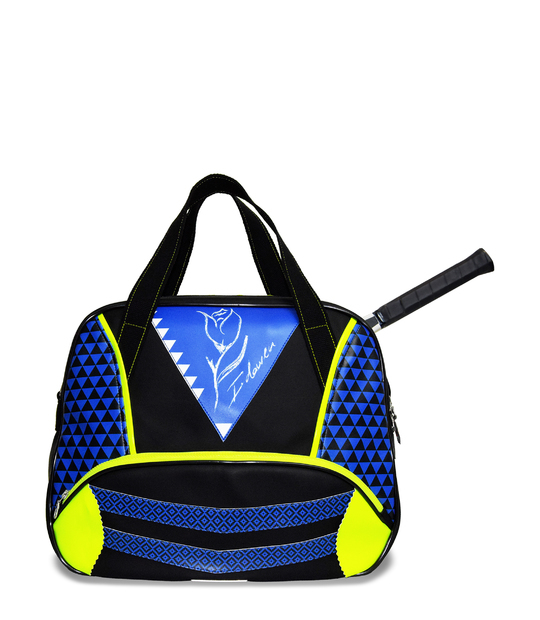 You can use it as a racquet bag for tennis, and it is lined with protective foam to keep your racquet safe from any damage. 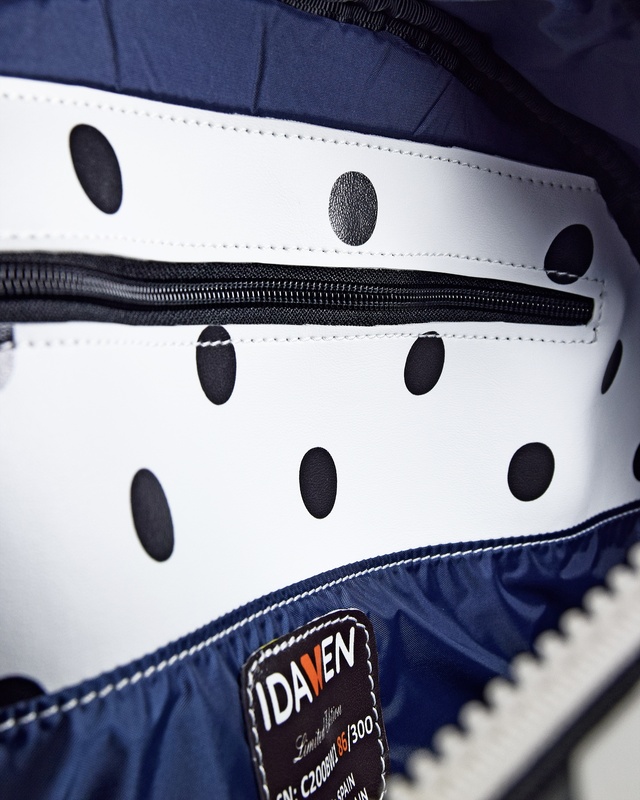 Exclusive design and first class materials. 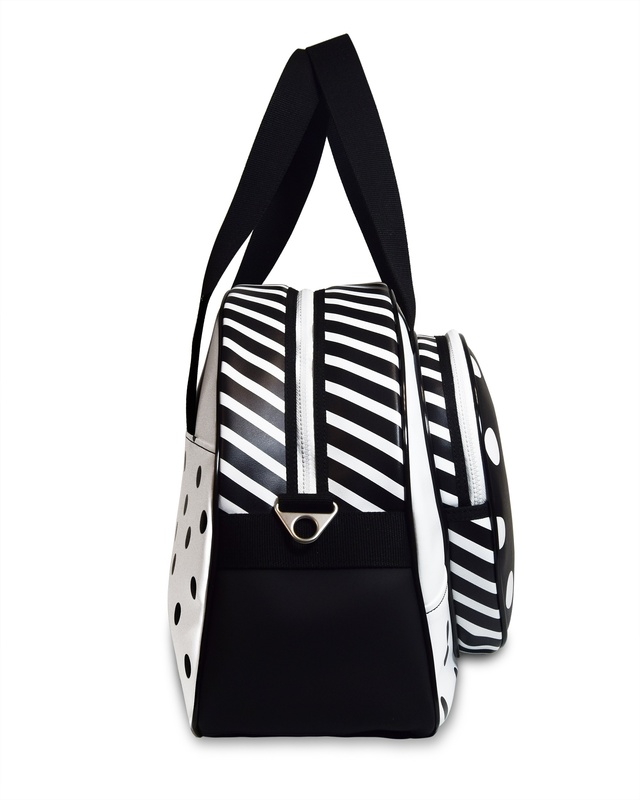 Retro inspiration. 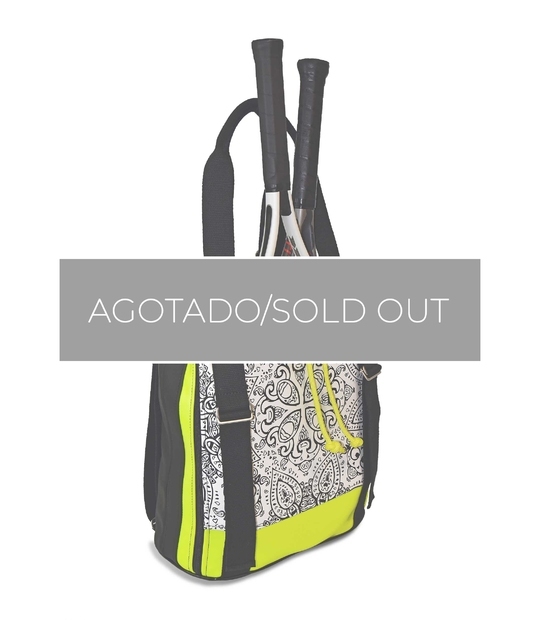 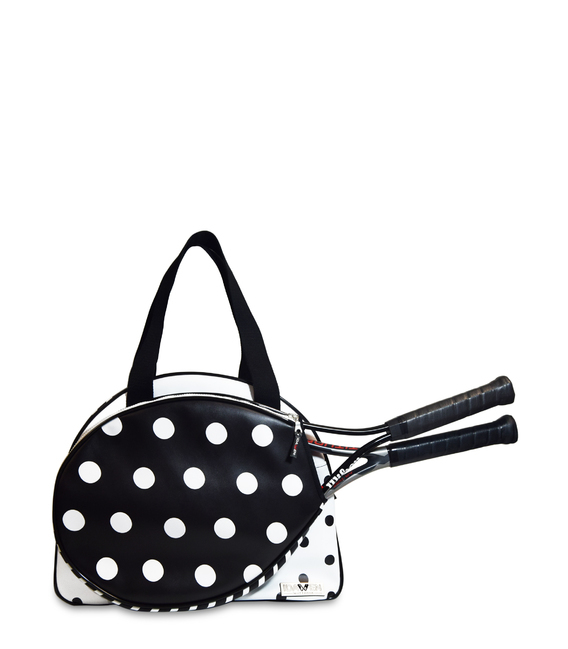 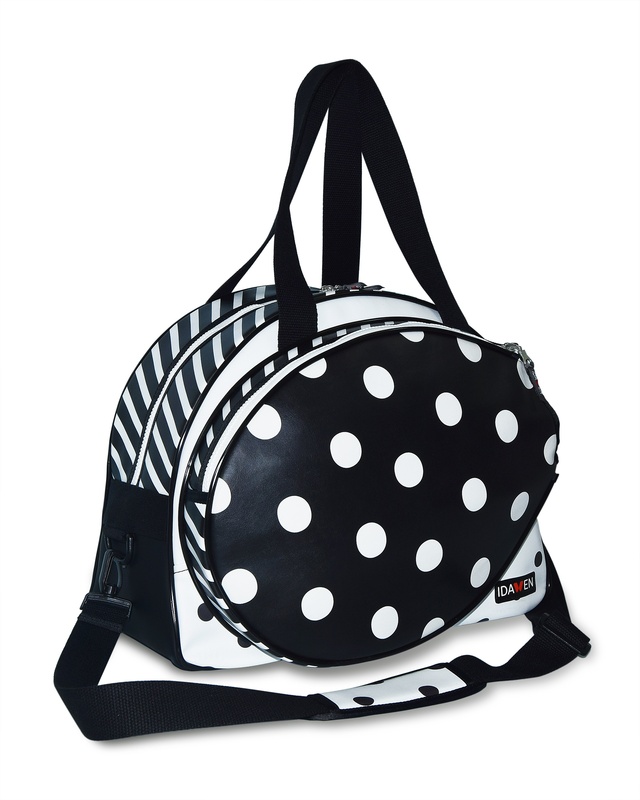 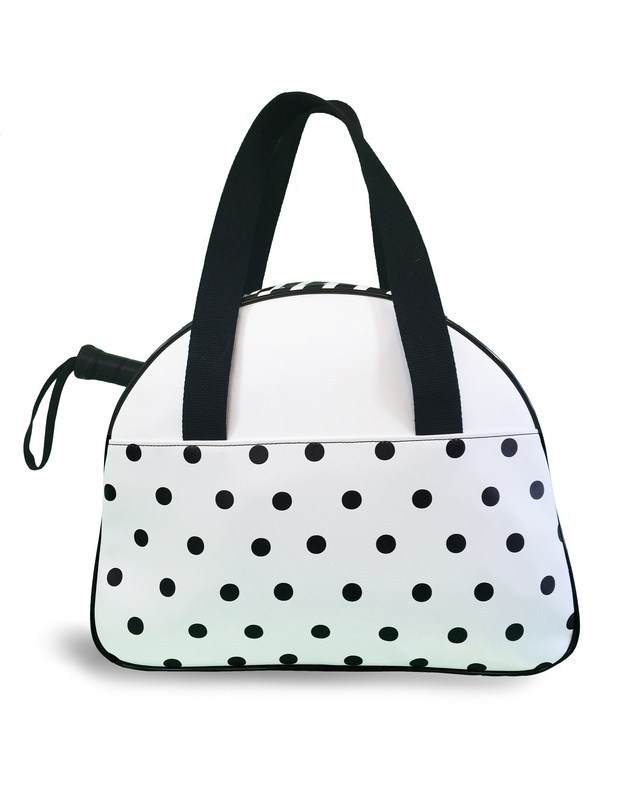 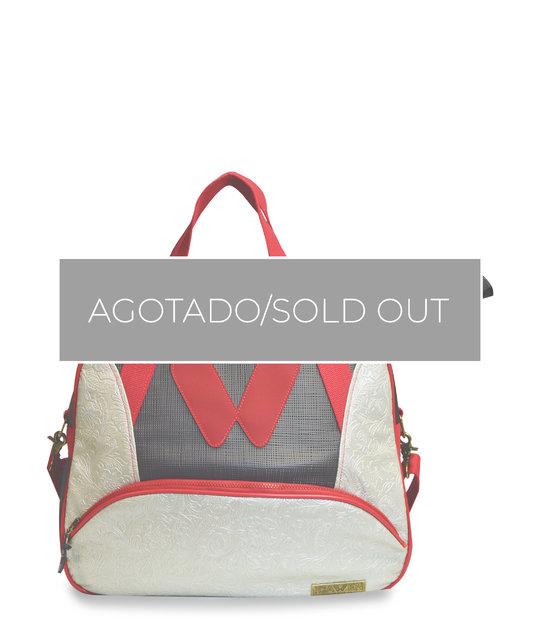 The classic beauty of polka dots, an a-temporary tennis bag in which sport, elegance and functionality are mixed. 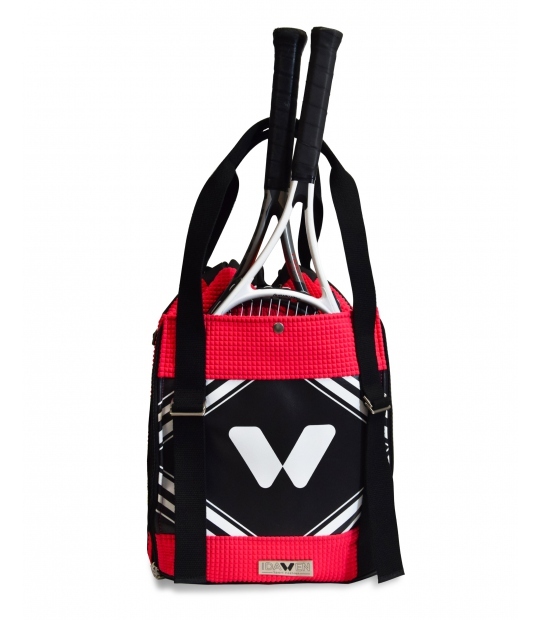 Your outer pocket will allow you to comfortably store up to two rackets, one if it is oversize. 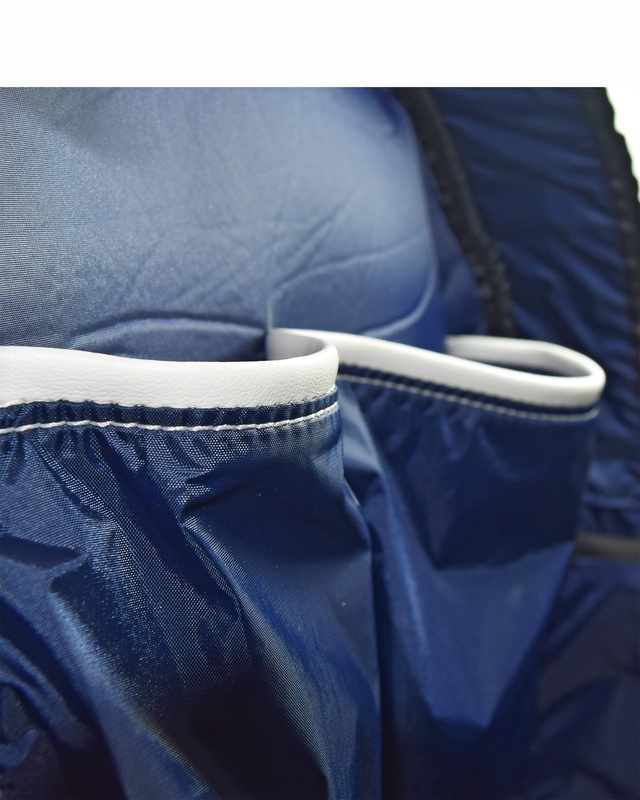 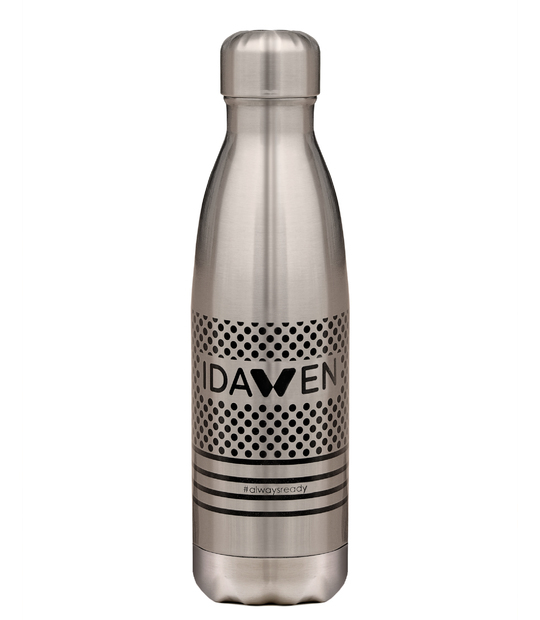 The design is very important but we never forget the confort and funcionality, that's why we use the best fabrics and include removable long handles and inner pockets: one zipper pocket and two piping pockets, adapted to the mobile, wallet or bottle of water. 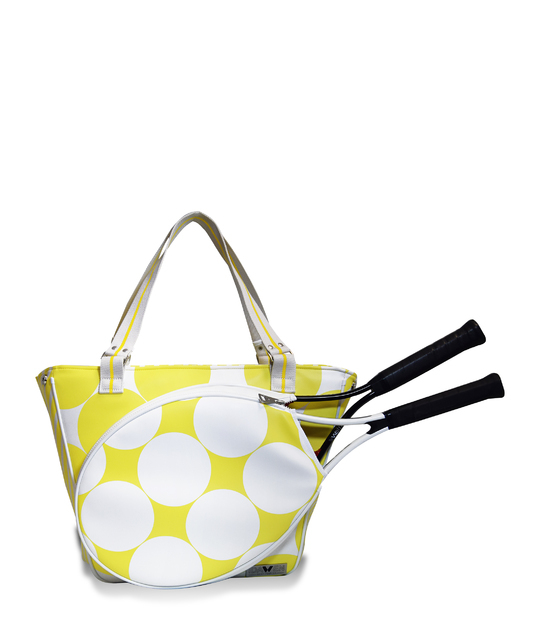 The pocket of your racket, is totally protected with foam, so the racket goes and returns, always intact.